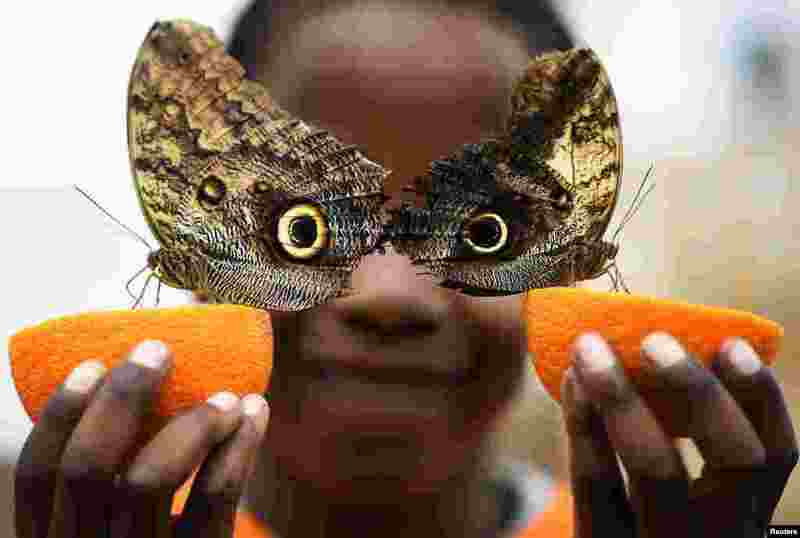 ١ Bjorn, aged 5, smiles with Owl butterflies during an event to launch the Sensational Butterflies exhibition at the Natural History Museum in London, Britain. 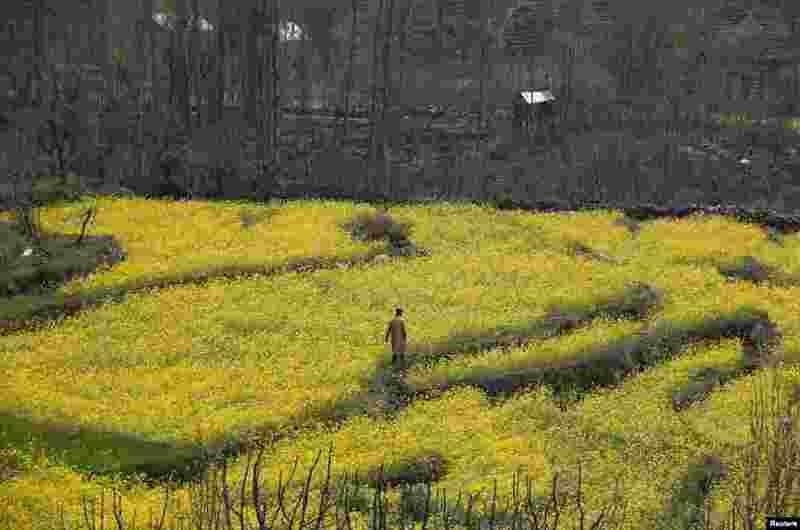 ٢ A Kashmiri man walks through a mustard field on the outskirts of Srinagar, India. 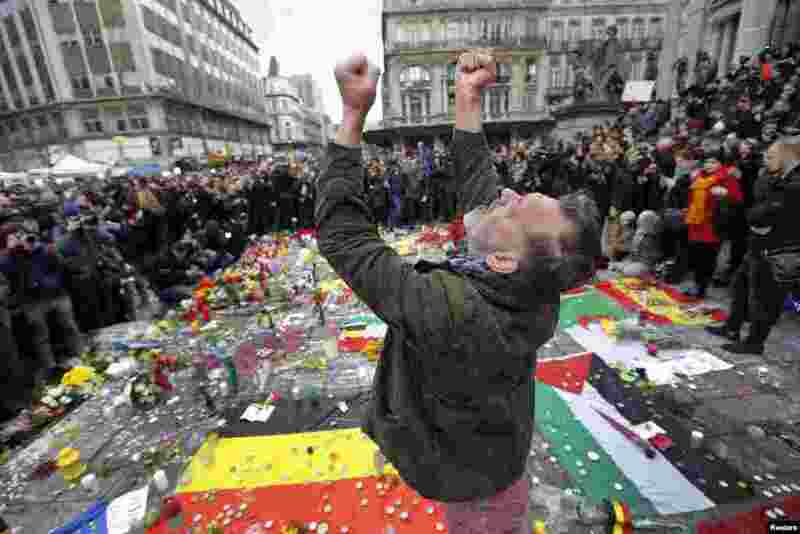 ٣ A man reacts at a street memorial following Tuesday's bomb attacks in Brussels, Belgium.